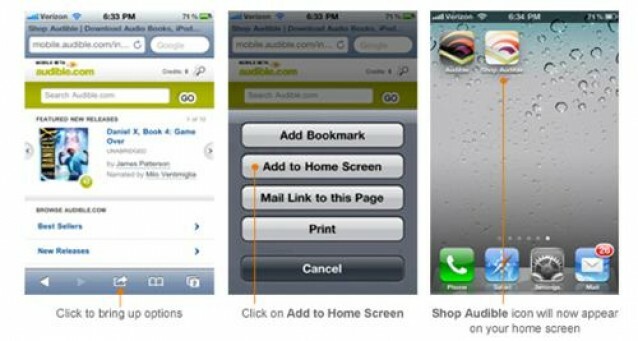 Q: I purchased 2 audiobooks from itunes and cannot get them to sync to my phone. I have followed the directions, set up icloud, However, apps purchased from the app store and songs purchased from iTunes can be downloaded again by going to the purchased section in the respective app and clicking the cloud button. But Neither app shows the audio-books I have purchased and when I look at a specific book I have already purchased in the iTunes store it shows the buy button. Will I get charged again if I click the buy button or will it just re-download it? A: To be clear, “iTunes in the Cloud” is the feature that was introduced with iTunes 10.3 and iOS 4.3.3 back in June that allows users to re-download previously purchased items from the iTunes Store. This service extends to music, apps, books and TV shows, with the latter being available to users in the U.S. only. Audiobooks are not yet available as part of iTunes in the Cloud. Depends on where you got your audio books there are different ways to Sync Audiobooks in the Cloud. And here we’ll show you how. iTunes Match, which is a separate subscription-based service does not natively support matching or uploading audiobooks either, it is only for music at this point, although that does include music videos as well, however, the only real difference between a music track and an audiobook track is how it’s tagged in iTunes, so reclassifying your audiobooks as Music tracks will cause iTunes to treat them the same way as it would any other music track, making them potentially eligible for iTunes Match. This will cause these tracks to appear in the Music section in iTunes and iOS rather than the Audiobooks section, however you can still use artist, album and genre tags to help locate and classify them and add them to playlists. There are two reason why iTunes Match doesn’t match your audiobooks. First, it doesn’t match anything in your Books library. And, second, even if your audiobooks are not in that library, iTunes Match won’t match anything that’s at a bit rate of less than 96 kbps. In this case, however, you can convert these tracks to a higher bit-rate if you really want them available in iTunes Match; Here i’ll show you how to convert all media files to iTunes Match compatible format with iFunia Video Converter for Mac. 1. 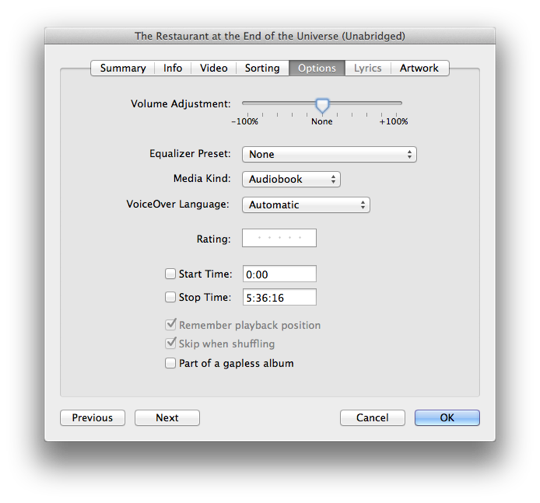 Run iFunia Video Converter for Mac, drag and drop the audiobooks onto the main window. Alternatively, you can open the file by click the Media Browser icon at the upper right corner. 2. Select the output format from the drop down list. 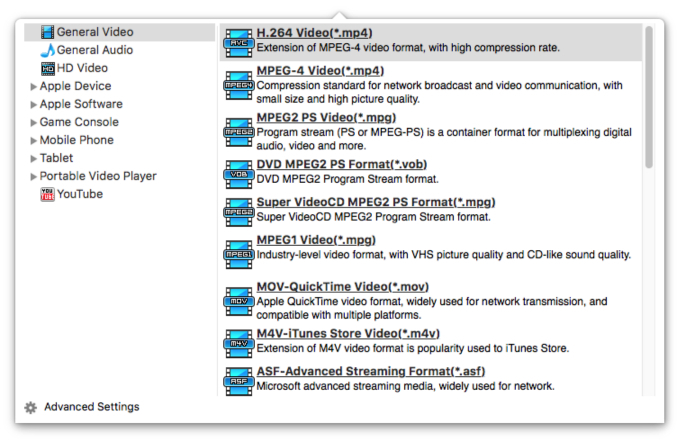 Detailed video and audio settings are provided by this free video converter for Mac for you to adjust, such as video Codec, Frame Rate, Resolution, Quality, Bitrate and audio Codec, Quality, Bitrate, Sample Rate, Channel etc. If you want to put your audiobooks in the cloud, you can start by ripping them—or at least the ones you want to have iTunes match—at 96 kbps. 3. Once you’ve got all your videos queued up, Click the start button and you’ll soon have an iTunes Match-ready video library at your disposal. Thank so much! I THOUGHT I had backed up to iTunes but it turns out I had only backed up to iCloud. It is now visible on my iPad. Thanks again! Does anyone know if there’s a way to still listen to your audiobooks at 2x after you convert them to “music” and upload them to the cloud though iTunes match?